There are a lot of possibilities out there for increasing your engagement and thus sales with customers through the means of digital transformation if you’re a pharmaceutical company. Here are some examples of core pillars for digitally transforming a Pharma company, including how this can be practically applied to increase market penetration and sales. One core pillar here is personalization. There is likely going to be a huge trend going forward into the future when it comes to Pharma and medical tech in general. Essentially, services like Fitbit will become more specialized for Pharma purposes. Auto Dispensing Drugs- It will actually be possible eventually to have drugs held in a container that you wear on your arm or elsewhere in your person that dispenses them when you need it so that there’s no chance of missing a dosage. This actually already occurs with certain conditions, but it will eventually be personalized and customizable. This could literally save people’s lives with adding medicine that can restart your heart, for example, or other such measures. Anticipatory Monitoring-Data analysis will eventually get good enough that your physician will be able to read warning signs from your biometrics and recommend that you come in before a problem occurs in order to prevent it. Person to Person Customization-The age of personalized medicine is nearly upon us, and big data combined with enhanced manufacturing processes, including 3D printing of medicine will make it so that you can create drugs that aren’t just good for a particular person’s condition or demographic, but for them personally. Meaning, their individual body will get medicine that responds to it. Pharma companies need to look out for this kind of digital transformation in order to make sure they don’t get left behind. Another major pillar of the coming age that will affect Pharma companies is the increased and unprecedented level of interaction between medical professionals of all stripes and patients that’s coming. They call it “omnidirectional” or “multidirectional” channels and it will be one of the effects of digital transformation held up by pillars like disruptive technology and the mobile revolution. Essentially, it will become possible to gain access to medical advice and thus the need for shipped drugs at just about any time and any place. Pharma companies need to be aware of this increasing demand for this kind of service because you can be sure that the competitors are aware of it and will be seeking to fulfill it early. Telemedicine is one of the words bandied about to speak of this coming trend, and it’s still in its infant stages to be sure. As a result, the laws when it comes to telemedicine can be variable depending on the state, and many are still a bit restrictive. But the point is, that this is definitely coming. And we already have a culture where you can order medicine and have it sent to you in many situations. The demand in the future is clearly going to just expand, and the providers for Pharma companies are going to want this more and more as the customer demand rises. This means making sure that you have the cloud structures in place to handle it. This might also require Pharma companies and companies that they work with to create and manage automated systems such as chat bots that can use advanced learning algorithms to interact well with others seeking medication and can go so far as to screen them for whether they need medicine without necessarily involving a live physician. The point is, a new world is going to require a new level of interaction. This might come in the form of interacting with a pharmacist or doctor through a video chat on a phone when a customer is in the middle of nowhere, or it might come in some other form, but savvy companies that deal in the industry need to keep on top of it. 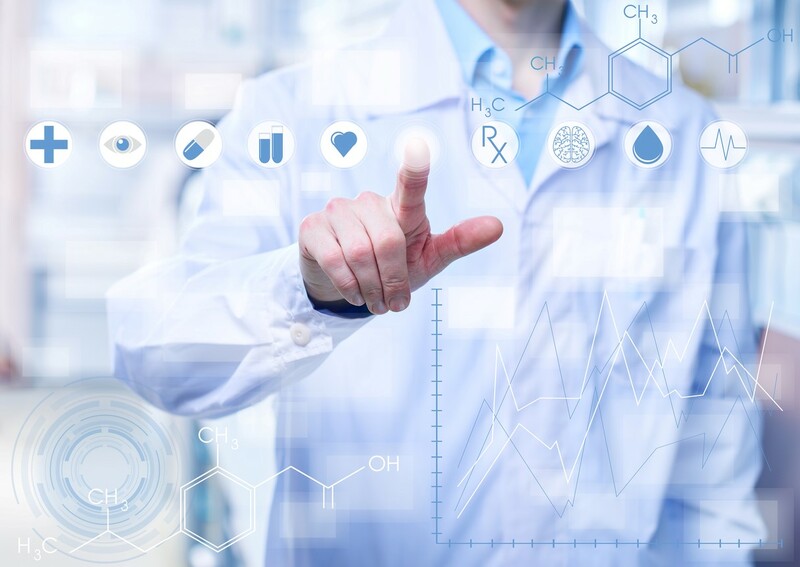 There’s also going to be a pillar trend that affects Pharma companies real soon related to Big Data when it comes to a number of different factors. For example, marketing will be affected by the continued use of Big Data in the sense that it’s going to be used to figure out how prescriptions should work to best accommodate customer behavior. Analysis of this data such as when people get prescriptions, the demographics they occupy and other information, will allow companies to market their products in a more targeted way. There are many different examples of this, but one such example includes using analysis algorithms to go through patient records and match up particular rare diseases with drugs that might benefit them. This is a rare opportunity to have targeted marketing on a totally new level compared to what was available in the past. Pharma companies would do well to take advantage of it to help drive up prescriptions and thus profits so that they can keep the research and development train going. This will only serve to help all interested parties in the long run as the sector continues to evolve into the digital age.